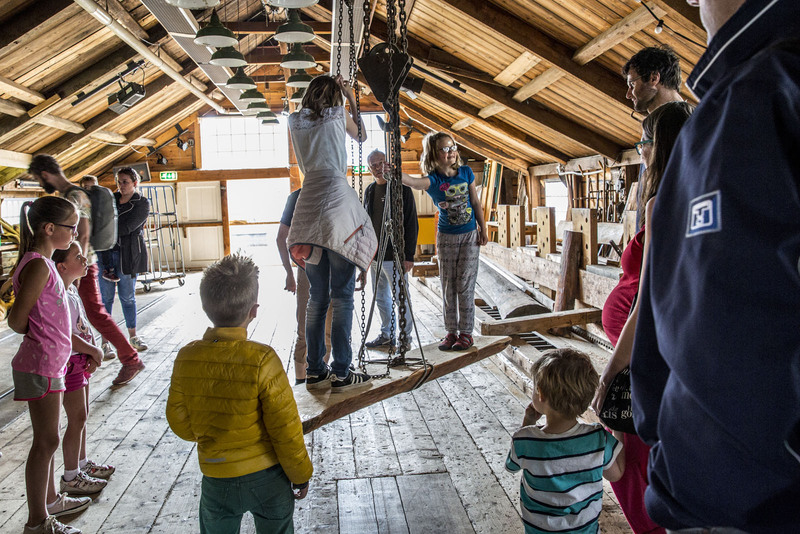 Every Saturday between 13:00 and 16:00, ‘Molen de Ster’ opens its doors to visitors from all corners of the world. Our licenced millers put the mill into action and our volunteer guides open up the mill’s operation and its history – wind or no wind. 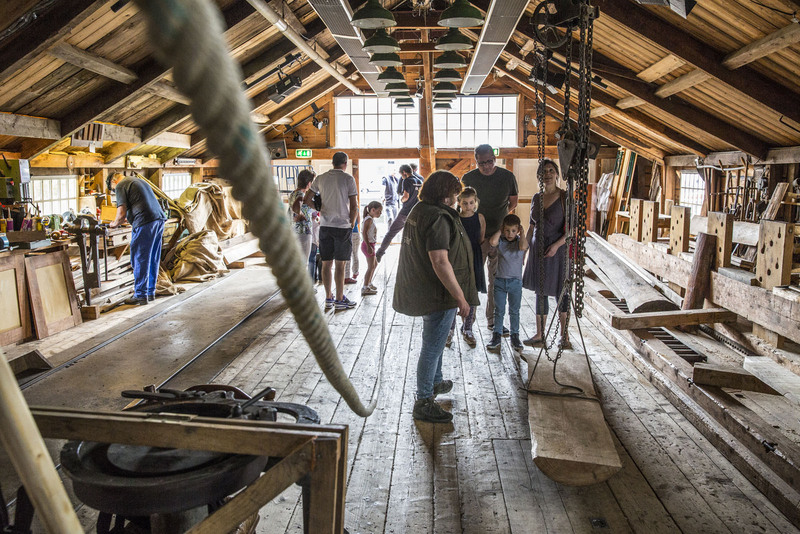 After a visit to the mill, children can freely roam about in the play area and petting zoo at the eighteenth-century mill yard while parents enjoy a cup of coffee, drink, snack or light lunch on our sun-lit terrace or within the historic surroundings of the Mill café. ‘Molen de Ster’ is only an 8 minute walk from Utrecht Central Station (Jaarbeurs Exit) and close to Utrecht’s medieval city centre. Come and visit this unique industrial heritage site at the heart of a vibrant and energetic corner of Utrecht, where history meets the modern and multi-cultural vibe of the area called Lombok. How old is ‘Molen de Ster’? Why is it situated on an island? How does it run? Is it the only mill in Utrecht? How many people worked in the mill, back in the days? 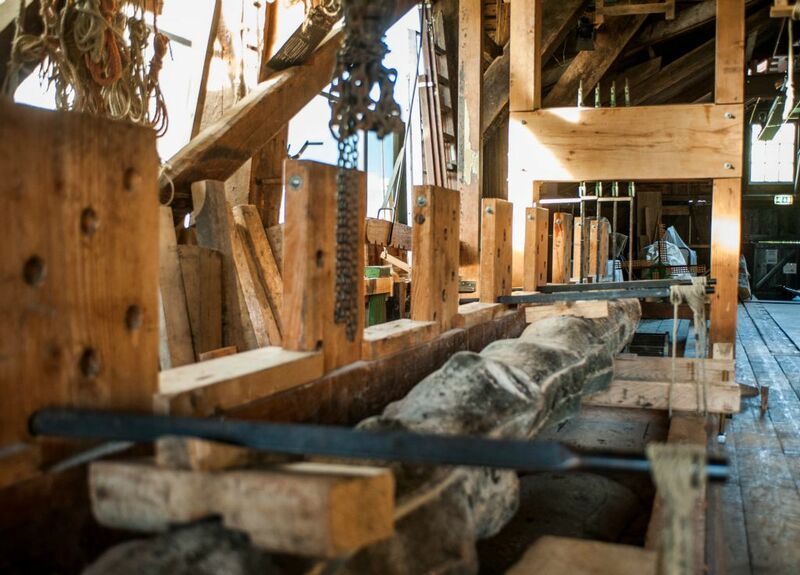 What is the origin of the wood being sawn at ‘Molen de Ster’? During a guided tour (in Dutch or English), our guides answer all your questions. 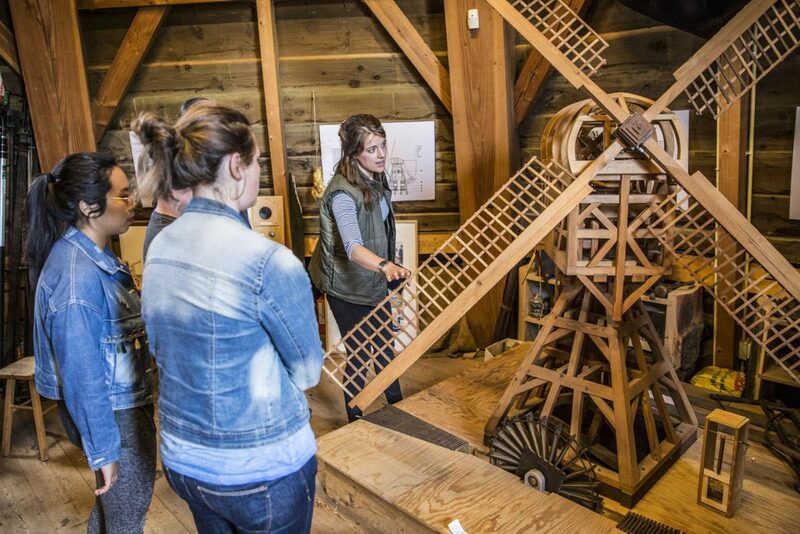 They explain the mill’s functioning, show its mechanism and open up its place in Dutch – and Utrecht’s – history. Guided tours are free of charge and last as long as you want. However, a contribution towards the upkeep and maintenance of our operation is highly appreciated. A visit to the mill is at your own risk; children are welcome under supervision. 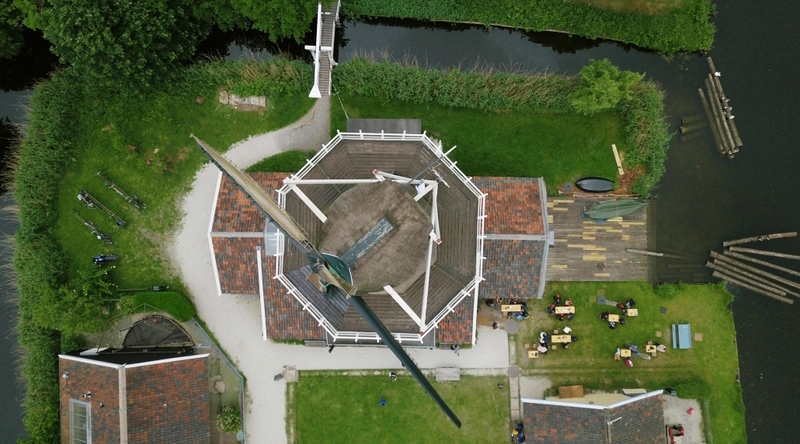 On Saturdays, groups are also welcome to visit ‘Molen de Ster’. If you plan to visit the mill with a large group, please contact our tour guides in advance (see contact form). Special requests may be taken into account. Should you wish to have a tour in a language other than Dutch or English, please specify this in the contact form. We cannot guarantee that this will be possible but we will let you know beforehand. Please contact us at least two to three weeks in advance, so that the guides have plenty of time to take your requests into account. On days other than Saturday, guided tours can only be arranged as part of a package deal including mill rental, and is dependent upon the availability of the guides.